« A Very Muppet Weekend. The Oxford Dictionary has just added a lot of new words to is vocabulary which I always like to see. There's already a zillion words in the English language, but the more the merrier. Purists think a lot of these trendy words shouldn’t be in the dictionary, we should stick to the tried and true. But these people are “catastrophizing” (one of the new words) which means to think things will be worse than they already are. But I always think of the English language as a living, breathing animal that evolves over time. 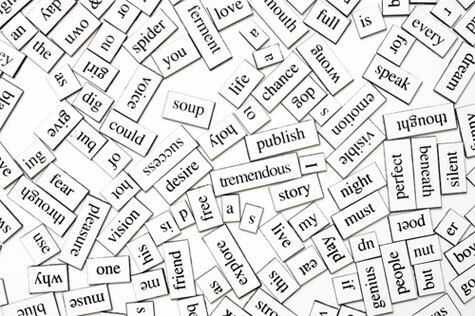 A lot of the words do what I do: Take existing words and mash them up, combine them or squeeze them into new words. One of Oxford’s new words is “bromance,” which means a close, non-sexual relationship between two men. As you can see someone just mushed “brother” and “romance” together to come up with the word. Some of the new words are jargon that we got from the government and news media. “Exit strategy,” a plan for getting out of a situation and “toxic debt” referring to a cause of he financial crisis. The people who came up with these jargony words are “cheeseballs,” meaning people who lack taste or originality. Some of the words are too cute, clearly coming from teenagers or, like, whatever, as the young ‘uns say. “Matchy-matchy” means too color coordinated and LBD refers to “little black dress.” I want to “defriend” the people who came up with those words. “Defriend” is a new Oxford word; it’s pretty self-explanatory. I was once credited in some on-line slang site as coming up with a new word “Seinfeldian” which refers to an inane conversation or situation. They cited a story I wrote for the Burlington Free Press about a tavern conversation. But I don’t think I was the first person to use that word. I alter the English language all the time. I call butterflies “flutterbys” because that’s what they do. “Bigamist” is widespread fog in Italy. Say it with an Italian accent and you’ll see what I mean. Do you have any words you invented? Any words you’ve seen that you want brought into more widespread use? Leave a message in the comments section. This entry was posted on August 21, 2010 at 10:11 am and is filed under Uncategorized. You can follow any responses to this entry through the RSS 2.0 feed. You can leave a response, or trackback from your own site. Schmingle. To schmooze and mingle, simultaneously. Plus, I like anything that sounds like it might be yiddish. Oh hey. I just googled. It’s a Jewish networking event in the UK. Dang. some of these words seemed to have been around forever (chil pilll, buzzkill, national treasure) i’ve been accused of at least one of the works for years now (overthink). i think to describe a negative person is way too strong a word…i think would have been better.